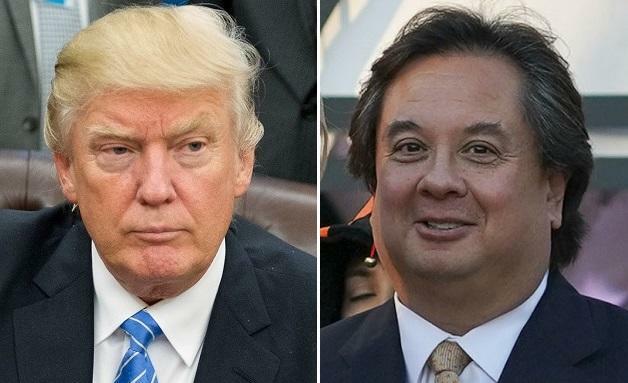 On Monday, George Conway suggested that President Trump has a mental disorder - tweeting out a photo of the Diagnostic and Statistical Manual of Mental Disorders, along with the pages that describe narcissistic personality disorder and antisocial personality disorder. Eleven minutes later, Conway responded to a tweet by nevertrumper Bill Kristol, saying "*all* Americans should be thinking seriously *now* about Trump’s mental condition and psychological state." Coming to Trump's defense was his 2020 campaign manager, Brad Parscale - who tweeted on Monday night: "We all know that @realDonaldTrump turned down Mr. Kellyanne Conway for a job he desperately wanted," adding "Now he hurts his wife because he is jealous of her success." To which President Trump replied on Tuesday: "A Total Loser!" When Kellyanne Conway was asked on Monday morning if she shared her husband's concerns over Trump's mental health, Conway said: "No, I don't share those concerns," adding "I have four kids and I was getting them out of the house this morning before I got here so I can talk to the president about substance, so I may not be up to speed on all of them." George Conway has previously accused Trump of obstructing justice in the Roger Stone case, violating the constitution, and that there would be "grounds for impeachment" if Trump tried to block the $85 billion AT&T - Time Warner deal. This isn't Parscale's first comment on Conway either. In January, the Trump aide slammed Conway for taking a cheap shot when the president misspelled "hamberders" over in a tweet. After Conway said "Think of how much of a laughingstock a president has to become to have *Burger King* make fun of him," to which Parscale replied: "Think how bad of a husband you have to be to act this way."